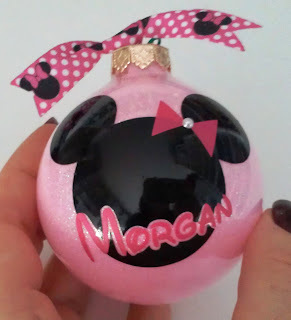 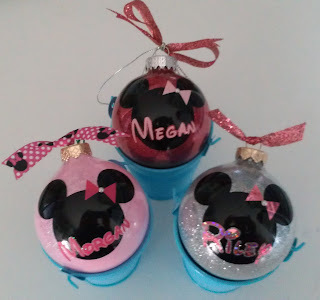 More Minnie ornaments for my girls. 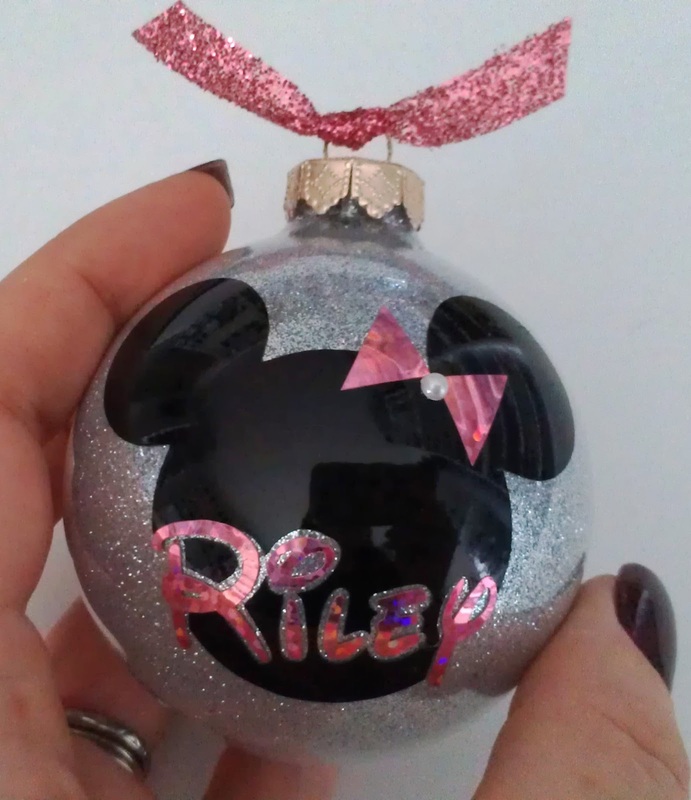 Glitter on the inside, vinyl on the outside. Cut on my Cameo.